03/07/2015 — According to Riverside County Sheriff’s Department Sgt. John Clark on Saturday, March 07, 2015 at 1:56 A.M. the La Quinta Police Department located an abandon vehicle in the desert area southwest of Calle Tecate and Avenida Madero, La Quinta. The vehicle had significant collision damage from running off the roadway into the desert. The investigation revealed the vehicle was also involved in a previous hit and run that occurred earlier in the evening on Avenida Vallejo and Sinaloa, La Quinta. The driver, Kevin Patrick Smith, 37 years old of La Quinta, was located a short distance from the vehicle and was arrested for suspicion of driving under the influence of alcohol and/ or drugs. Smith was taken to a local area hospital and later released from custody due to non-life-threatening injuries. 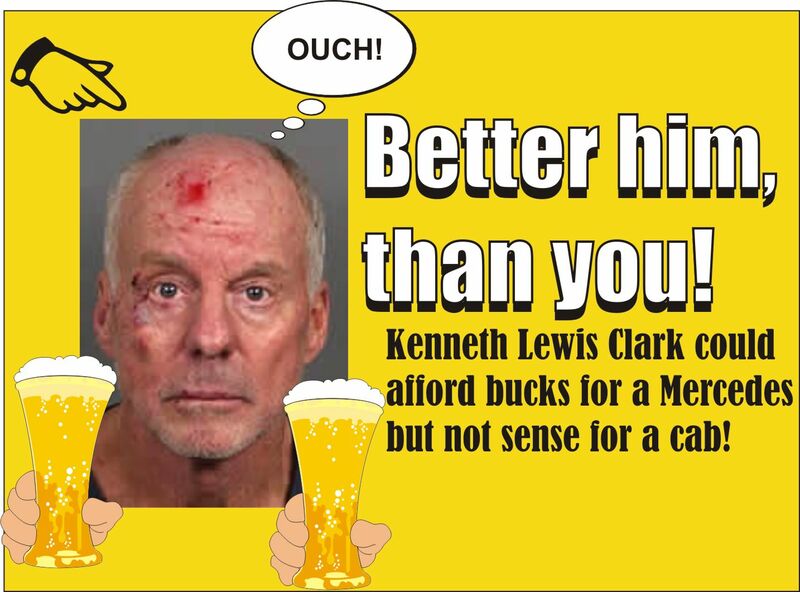 Ken Clark could afford a Mercedes but couldn’t afford to call a cab! According to Sgt. David Wright of the Riverside County Sheriff’s Department, on Thursday, March 5, 2015 at 5:12 PM, officers from the Palm Desert Police Department responded to a collision on Velie Way and Joni Drive in the city of Palm Desert. Officers arrived within minutes and discovered a black Mercedes had collided with a white Land Rover. The occupant of the Land Rover was treated at a local hospital for moderate non-life-threatening injuries. The driver of the Mercedes, Kenneth Lewis Clark, age 54 of Palm Desert, was arrested for driving under the influence of alcohol. Clark was taken to a local hospital as a precaution prior to being booked into the Riverside County jail in the city of Indio. The Palm Desert Police Department encourages all drivers not to drink and drive. To report drunk drivers, please call 911. Anyone with any information about this incident is urged to contact Officer D. Lloyd with the Palm Desert Police Department at (760) 836-1600, or they can call anonymously at (760) 341-STOP (7867). Sgt. John Clark reports that on Thursday, March 05, 2015 at 4:30 P.M. the Coachella Police Department responded to the area of Fillmore and Avenue 52, Coachella reference a non-injury traffic collision. The driver, Salvador Basilo-Felipe, 29 years old of Thermal, was traveling southbound on Fillmore, when he collided with a tractor (corn harvester) traveling north on Fillmore. Basilo-Felipe was arrested for suspicion of driving under the influence of alcohol/ and or drugs. Basilo-Felipe was taken to a local area hospital for a precaution prior to being booked into the Riverside County jail in Indio. 03/07/2015 — Sergeant Radek Horkel reports that on Monday, March 3, 2015 at about 12:21 a.m., officers from the Palm Desert Police Department responded to the intersection of Elkhorn Trail and Louisiana Street in reference to a traffic collision. The investigation revealed that a white Ford F-150 pickup was traveling northbound on Elkhorn Trail approaching the intersection with Louisiana Street. The pickup veered to the right and rear-ended a red Chevy van parked in front of a residence. The driver of the pickup, Daniel Adam Eschweiler, age 30 from Indio, was found to be driving his vehicle while under the influence of an alcoholic beverage. 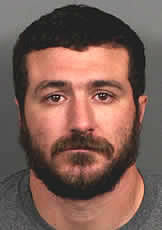 Daniel Eschweiler was taken to a local hospital, treated for minor injuries and later booked into Riverside County Jail in the city of Indio for driving while under the influence of an alcoholic beverage. The Riverside County Sheriff’s Department encourages anyone with information to contact the Palm Desert Police Department at 760-836-1600 or Crime Stoppers at 760-341-STOP (7867). on March 1, 2015, approximately 4:20 AM, deputies patrolling the area of Collier and Hunco, observed a 2005 Toyota Corolla, occupied by two subjects. The driver was swerving from lane to lane. Deputies attempted to stop the vehicle for a vehicle code violation by activating the overhead lights to the patrol unit. The driver refused to yield to the officers. Deputies observed the driving actions of the driver who at times was driving in the opposite direction. The driver failed to stop at several stops signs leading deputies through downtown Lake Elsinore. The driver continued south on Mission Trail. As the driver approached Palomar, the driver lost control of the vehicle striking a fire hydrant in front of The Round Up market. The driver fled on foot while the passenger remained in the vehicle. Deputies engaged in a foot pursuit eventually apprehending the suspect on Shay Lane. The driver complained of pain and was treated at a local hospital. 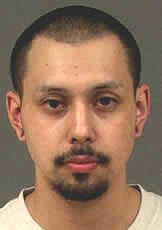 The suspect is identified as Jonathan Iniguez, a 23-year-old resident of Riverside. Iniguez was arrested and booked into the Southwest Detention Center for reckless driving, driving under the influence and driving on a suspended driver’s license. Lake Elsinore Municipal Water District responded to shut the water off. No roads were closed as a result of the accident. On Saturday, February 28, 2015 at 8:24 P.M. the La Quinta Police Department responded to Calle Madrid and Avenida Rubio, La Quinta reference a non-injury single vehicle traffic collision. The driver was identified as Keith Fox. Fox was driving eastbound Calle Madrid and lost control of his vehicle, crossing the westbound lane of Calle Madrid. The vehicle continued northbound over the curb, through the front yard and into the front of a single family residential structure. The residential structure sustained moderate damage, but no family members living in the residence were injured. Fox was arrested for suspicion of driving under the influence of alcohol and/or drugs. 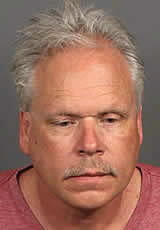 Fox was taken to a local area hospital as a precaution prior to being booked into the Riverside County jail in Indio. 03/07/2015 — On Friday, February 27, 2015, about 11:35 P.M., officers from the Moreno Valley Police Department responded to Moreno Beach Drive, between Cottonwood Ave and Auto Mall Drive, in the city of Moreno Valley, regarding a report of a major-injury traffic collision. Officers, American Medical Response, and CAL Fire personnel arrived within minutes and located two vehicles involved in the collision. They located an unresponsive male in one of the vehicles. He succumbed to his injuries. The other party sustained moderate injuries and is in stable condition at a local hospital. The preliminary investigation revealed one of the vehicles was driving northbound Moreno Beach Drive and the other was driving southbound in the same area. The vehicle that was traveling northbound on Moreno Beach Drive, veered into the southbound lanes and collided with the second vehicle. Driving while being intoxicated may be a factor in the collision. The westbound and eastbound lanes of Moreno Beach Drive between Cottonwood Avenue and Auto Mall Drive were closed for approximately six hours while members of the Moreno Valley Police Department’s Traffic Reconstruction Team conducted their investigation. This is an active and ongoing investigation. The Moreno Valley Police Department is asking anyone with information regarding this traffic collision, or anyone who may have witnessed the traffic collision; contact Officer Andrade of the Moreno Valley Police Department’s Traffic Division at (951) 486-6900. After hours, and on weekends, the Department may be reached at (951) 776-1099. Temecula, Ca – St. Patrick’s Day brings to mind shamrocks, leprechauns, pots of gold, and good luck. But no amount of luck can save you from a drunk-driving crash. So whether you’re buzzed or drunk on St. Patrick’s Day, it doesn’t matter. NHTSA wants to remind everyone that Buzzed Driving Is Drunk Driving—drive sober. The Temecula Police Department will be deploying roving DUI patrols this St. Patrick’s Day looking to stop and arrest drivers who are impaired by alcohol or drugs. These DUI patrols are, in addition to regularly scheduled patrol officers, all looking for the tell-tale signs of an impaired driver behind the wheel. In 2013, there were 31 people killed nationally in drunk-driving crashes on St. Patrick’s Day. All in all, during the St. Patty’s Day period from 2009 to 2013, there have been 276 drunk-driving fatalities. Every one of those lives was lost because of bad decisions. Unfortunately, March 17 has become a deadly day in the United States, with a dramatic spike in drunk-driving fatalities. And we’re not just talking about a little bit too much to drink here; from 2009 to 2013, almost three-fourths of the drunk-driving fatalities on St. Patrick’s Day involved drivers who were twice the legal limit. The Temecula Police Department offered this advice to partygoers: “Get ahead of the decision this year. If you know you’re going to celebrate St. Patrick’s Day with alcohol, then figure out a plan ahead of time for how you’ll get home. Don’t wait until you’re too buzzed to decide, and don’t let your friends drive drunk.” Buzzed Driving Is Drunk Driving, so if you have anything to drink, count on a sober friend, taxi, or public transportation to drive you home safely. Not drinking? Maybe this St. Patrick’s Day, you’ll be the saint who drives your friends sober. Let’s make 2015 different. Use this party-planning checklist to stay safe this St. Patrick’s Day. DDVIP: The California Office of Traffic Safety DDVIP app is now available for free download on iOS and Android devices. Launched last year the new DDVIP app offers enhanced features, allowing users to “Map a Spot” with their current location to find DDVIP partnering establishments in their area or a “List of Spots” to search all participating bars and restaurants throughout California. Users can stay up-to-date with the latest from DDVIP and see what other users are saying via its social tab. Also through the app, for those who want to imbibe but also make it a point to plan ahead, users can easily order a sober ride from Uber, Lyft or Curb – all from one screen. NOW: Even if you don’t have plans yet, plan to drive sober or designate someone else to. Save the number of a taxi company in your phone so you always have a backup plan. WHEN YOU MAKE PLANS: A sober driver is an essential part of any party plan. Once you know where you’ll celebrate, decide whether you’re drinking or driving. You can only choose one. ON ST. PATRICK’S DAY: Before you take your first sip of green beer, leave your keys at home or give them to a friend. If you’re the designated driver, don’t drink. Enjoy non-alcoholic beverages and brag about your VIP (very important partygoer) status online using the hashtag #designateddriver. Only drive sober or ride with a sober driver. EVERY DAY: If you’re impaired, use a taxi, call a sober friend or family member, or use public transportation to get home safely. If available, use your community’s free ride program [Insert your Local Free Ride Program Specifics Here]. If you know people who are about to drive or ride while impaired, take their keys and help them make other arrangements to get to where they are going safely. DRUGS, MEDICATION & ALCOHOL = CRASHES: Recent statistics reveal that 30 percent of drivers in fatal crashes had one or more drugs in their systems. A study of active drivers showed more tested positive for drugs that may impair driving (14 percent) than did for alcohol (7.3 percent). Of the drugs, marijuana was most prevalent, at 7.4 percent, slightly more than alcohol. 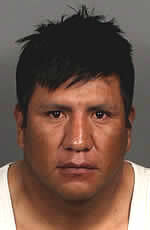 This entry was posted in DWI arrest photos, DWI Arrests by State, DWI crash photos, injury or death and tagged California Highway Patrol, California: DUI driver Ken Clark could afford a Mercedes but couldn't afford to call a cab!, Calle Tecate and Avenida Madero, Coachella Police Department, Daniel Adam Eschweiler, Driving Under the Influence, driving while impaired, driving while intoxicated, DUI, DWI, fatal drunk driving crash, Geronimo Francisco identified as dead driver, Jonathan Iniguez, Keith Fox not so sly; got a DUI when he crashed into house, Kenneth Lewis Clark DUI when he wrecked his Mercedes into Land Rover, Kevin Patrick Smith, La Quinta Police Department, Moreno Valley Police Department’s Traffic Reconstruction Team, OWI, Palm Desert Police Department, Palm Desert Police Officer D. Lloyd, Riverside County Jail, Riverside County Sheriff's Department, Salvador Basilo-Felipe, Sergeant Radek Horkel. Bookmark the permalink.